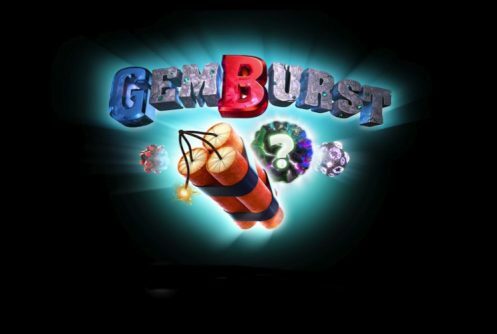 Gem Burst from playtech is a 243 payline, 5 reel space/rock themed medium variance video slot with sharp visual animations that’s playable from £0.25 up to £500 per spin on PC desktops and mobile devices at playtech casinos. 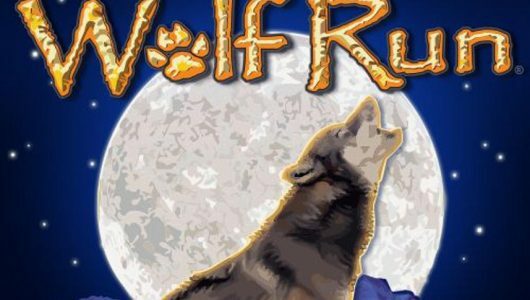 With a theoretical return to player percentage (RTP) of 96.16% it features cascading wins with multipliers from 1x to 5x (4 cascades) and a Blasting Games Free Spins feature that awards up to 30 free spins. The top payout that can be won on one spin is a non-progressive jackpot of 500 coins. When the Mystery Symbol appears (diamond with multiplier) you’re given an option that allows you to place bombs beneath the reels, an instant cash prize can be won that will make your ears pop. The symbols on the reels are rocks that explode offering payouts based on the combinations they appeared in. Suffice to say it’s an exiting slots thanks to its cascading game mechanic where multiple payouts on a few spins can occur. Against the backdrop of the reels you’ll see a mining shaft with symbols such as 4 different rock types with a variety of gems attached to them, the dynamite scatter, wild rock and cards from 10 to Ace (low value symbols). The symbol that pays the top cash prize is the rock with rubies on it, 5 of them at the maximum bet pays 500 coins. All wins are multiplied by your coin value. 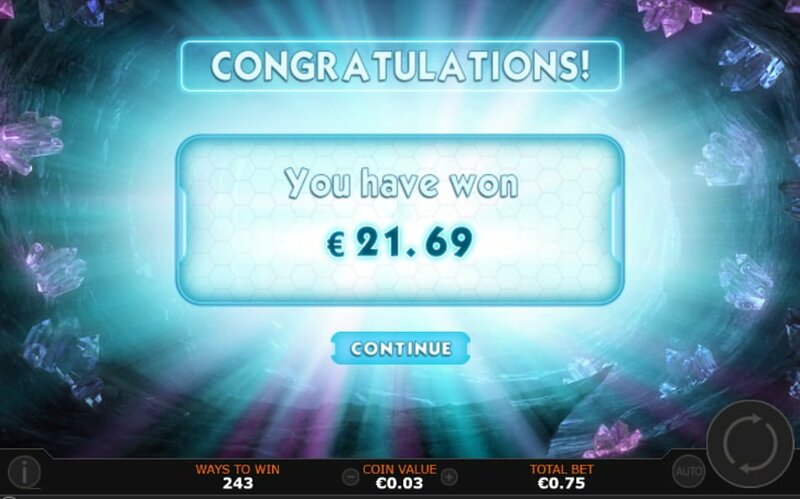 The coin value is 0.01 up to 20.00, as you increase it your average bet per spin goes up. The maximum bet that can be made on a single spin is £500 which makes teh game condusive to high rollers. 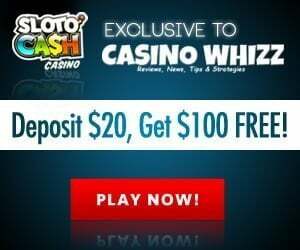 The Auto Play spin the reels for you from 5 spins up to 1,000 spins. The wild symbol is the rock with the ‘WILD’ on it, winning combinations occur when it replaces symbols adjacent to it except the 2 scatters (Blasting Free Games and Mystery Symbols). Because Gem Burst is a slots with cascading reels, you’ll see winning symbols disappear while non-paying symbols above them drops into empty spaces. New winning combinations are formed when extra symbols drop in from the top. 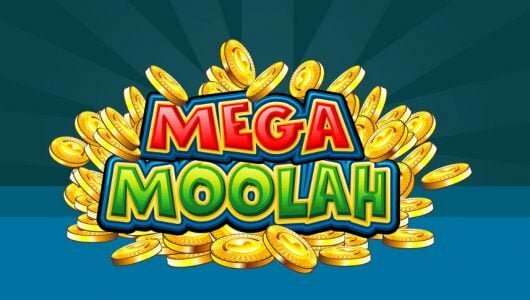 A cascade of winnings increases the multiplier from 1x, 2x, 3x, 4x to 5x meaning that successive wins can be gained from each spin. 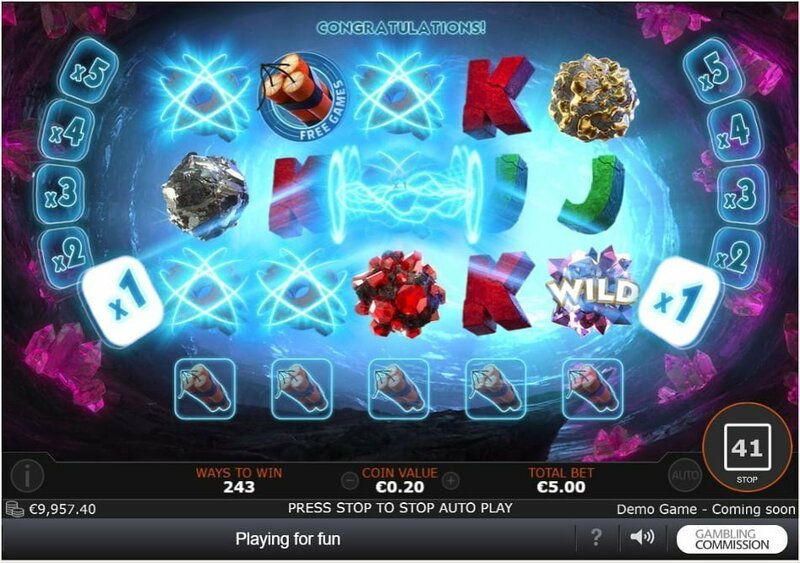 The Blasting Games Free Spins feature is played when 3 or more Blasting Games symbols appear on the reels during the main game. For every Free Games scatter that pitches they can be transformed into 3 Blasting Free Games bombs. Two Blasting Free Games are awarded by each Blasting Free Games bomb. 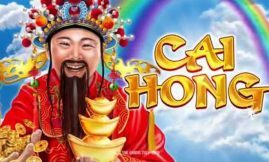 The smallest amount of Free Games awarded is 6 while up to 30 Free Games (free spins) are awarded. Before the Free Games feature commences you must places all the Blasting Free Games bombs below a reel (drag it to the reel are). You can place up to 3 Blasting Free Games bombs under a reel. Whilst the Blasting Free Games feature is underway an extra symbol known as the ‘Mystery’ symbol appears. Whenever this symbol pops up on the reels, it detonates the Blasting Free Games bombs which detonates the Mystery symbols in return which results in neat payout. Now, For every Blasting Free Games bomb that appears underneath a reel, the multiplier shoots up by 3x thanks to the Mystery symbol. Try and get the Mystery symbol to appear on the third and fourth reels respectively because cascades are more likely to occur and the payout is huge – it’s a bit of a gamble to say the least but well worth it. 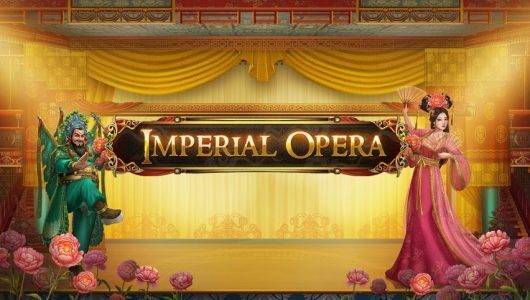 Unfortunately it’s not a re-triggerable free spins feature, upon conclusion of the free spins you’ll return to the base game. Aside from spectacular graphics there’s more to Gem Burst then we initially thought. 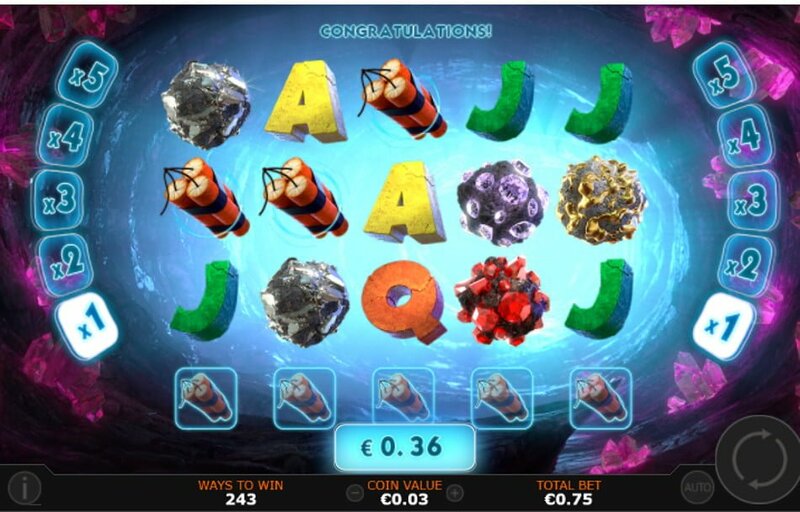 The cascading reels with the multipliers of 1x to 5x is a nice touch and the free spins feature with the added ‘Mystery’ symbol is responsible for some explosive wins. The maximum win on a single spin is 2,500x your stake (500x with a 5x cascading multiplier) makes it a lucrative game to play.